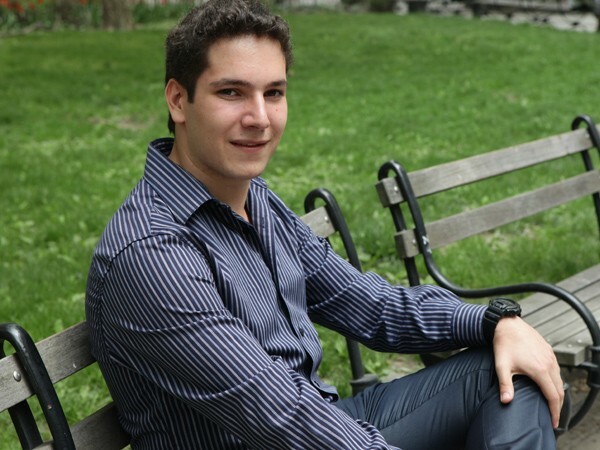 Alberto Buzali Berner is one of Mexico City's most accomplished young engineers. He's an award-winning innovator in robotics. He's also helped implement a biodiesel program that fuels local school buses. And he just celebrated his 18th birthday. "Since I was a child I've liked technology, to use computers," Alberto says. And his school, Colegio Israelita de México—run by Federation partner World ORT and known as CIM-ORT—has provided the perfect environment for this scientist to explore his passions. Students at CIM-ORT don't shy away from challenges. A project-based curriculum ensures that every learner—from kindergarten through 12th grade—gets their hands dirty solving real-world problems. For a self-starter like Alberto, it's perfect. In addition to his science successes, he’s helped create the school’s student-run Holocaust museum. And he's also been able to explore his growing passion for film—he vividly remembers his reaction to seeing the school's state-of-the-art green screen for the first time: “Wow, I really want to be here!" Now in his senior year, he’s determined to chart a new course for himself in college, studying both systems engineering and cinema. But Alberto’s identity runs far deeper than just academics. His family gathers every week to celebrate Shabbat and enjoy his Syrian grandmother’s delicious traditional cooking. Attending CIM-ORT helps Alberto "keep our traditions alive" the rest of the week, he says. Classes on Jewish history and Hebrew keep him in touch with his heritage. And opportunities to build relationships with Jewish peers around the world—from Israeli exchange students at CIM-ORT to class trips to Argentina, the U.S., Israel and more—link him with Jewish communities around the world. He’s especially excited about a new virtual program that will allow his science class to work collaboratively with ORT students in Eastern Europe—the perfect combination of his interests. “ORT really gives us the opportunity to connect with other young Jews,” he says. Alberto has some big decisions on the horizon—including whether to stay in Mexico or head a little farther north for college. He knows it’ll be hard to leave his tight-knit community in the heart of a bustling city. But his love for exploring new possibilities, buoyed by his years at CIM-ORT, will help him wherever he goes.